So, first off – open a new window in your browser, get onto youtube, and find an old Parkour video that you are in, which you feel is from a good time. It might be a sampler, a jam video, an event, whatever. How was it? Things are different now, right? It’s not like it used to be then. I miss that. I hear these sorts of remarks a lot from traceurs of all kinds, including a lot who are now training less, or not at all. I want to talk about this idea of striving to keep going, keep training. Our community as a whole, and your individual smaller communities are always changing. People come and go, jams grow and disappear, your training goes up and down. You change. And at the end of all that, there’s a much smaller number of people still out doing Parkour years later compared to the number of people that have been a part of it, or connected with it along the way. Parkour is still there, its still something that you can go and do. 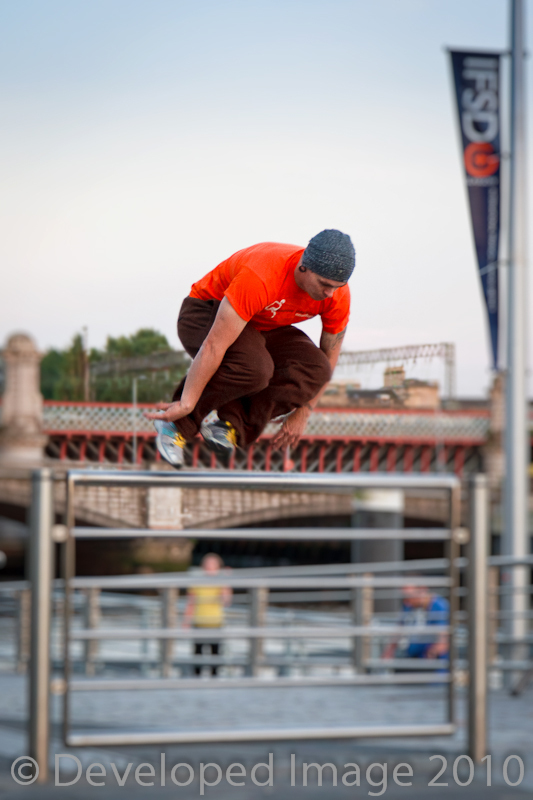 What you have to ask yourself is – is it the true idea of training Parkour, really living it, that attracts you? Or is it the memories of your initial achievements, trips with friends, conversations on a rooftop after a late night training session? These things are really important – they inform your experience of Parkour and they form part of the discipline for each person. But they change. The most accomplished traceurs in my eyes are the ones who always find time for training. Regardless of their circumstances, commitments or priorities – there will always be Parkour in their lives. That is extremely hard to achieve I think and is one of Parkour’s greatest and most constant challenges. It’s an honest and brutal discipline, and not everyone can rise to the challenge of doing Parkour for a lifetime. At the real essence of it, is the challenge. It’s always there, if you want it. Maybe the challenge is to just go out and train for the first time in a while. Maybe it’s to stop training the same stuff and be honest about where your comfort zone lies and ask yourself if you stay in it.